Want to be more involved with GANS and not available to give up your time? Here is another way to contribute to GANS. 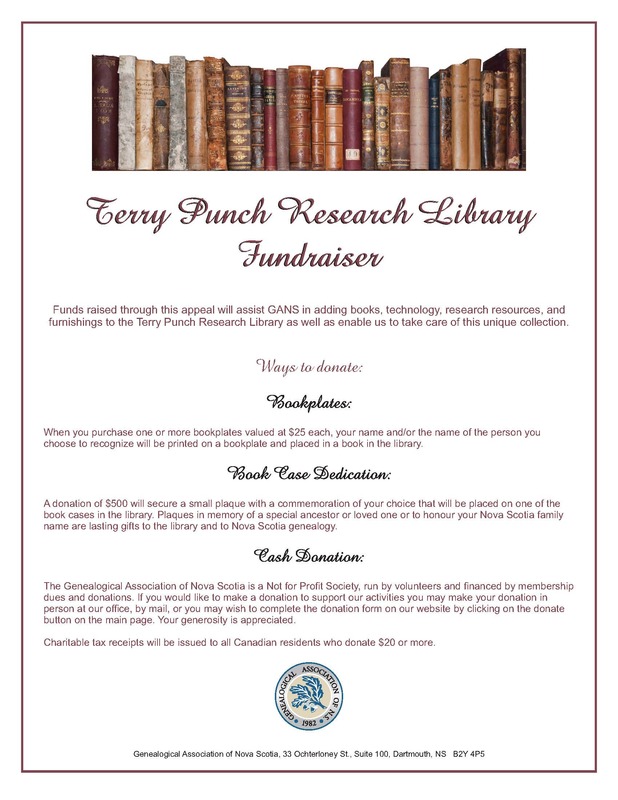 The Terry Punch Research Library Fundraiser allows you to allocate your donation towards bookplates in memory of someone, sponsor a book case or continue to contribute with a cash donation. 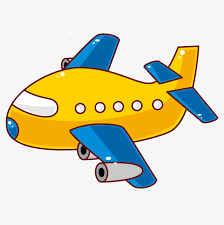 To save you a trip, in case we are unexpectedly closed, please call first at 902-454-0322 to check our daily hours of operation. Coming to Nova Scotia on your holidays and hope to spend some time tracing your ancestors? At GANS, we love to help people in their journey, but as a volunteer organization, we are currently limited in what we can do on an individual basis. Our research library is open Tuesday to Thursday 9:30 am to 3:30 pm and on occasional Sunday afternoons. Independent research in the library is encouraged and you can search resources through the library catalogue (on the left hand side panel under resources) with some guidance on library use from the office administrator. If you are interested in meeting with a volunteer genealogist, two weeks ahead of your visit send an email to info@novascotiaancestors.ca or telephone (902) 454-0322 with your request. 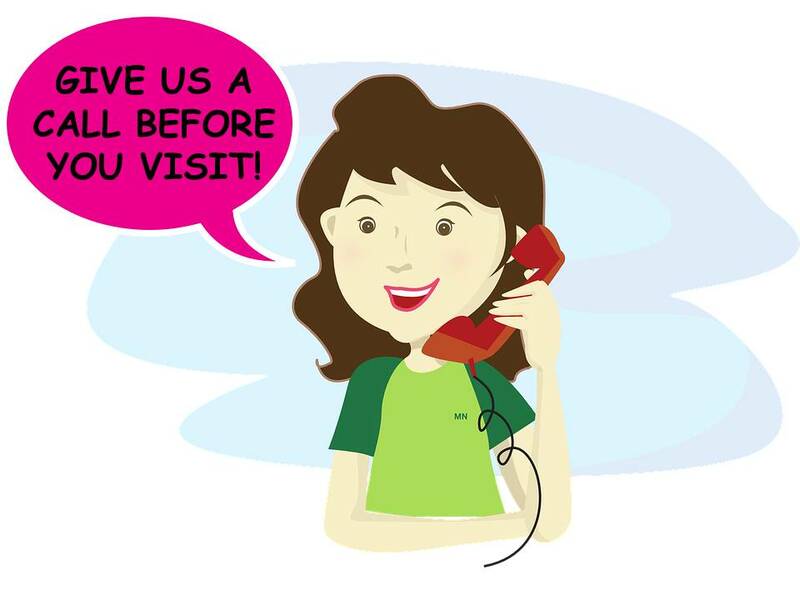 We will endeavour to accommodate your request but with limited volunteer resources this is not always possible. Members always receive priority. If we have sufficient advance notice, whether or not a genealogist is available, we will try to provide members with some tips and prime resources depending on their specific research. 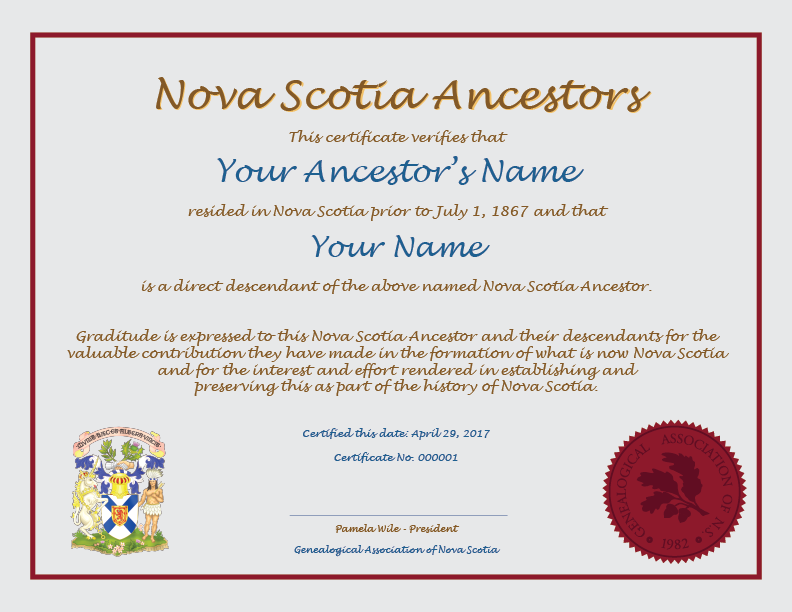 The Genealogy Association of Nova Scotia is very pleased to offer the Nova Scotia Ancestors certificate as a way to honour your direct line ancestors. While the confederation of Canada did not occur until 1867, the Mi’kmaq peoples were living in what is now Nova Scotia for 10,000 years. The first European settlers, the French, established a permanent settlement in 1605, North America’s first. The certificate honours those who lived in Nova Scotia at any time before July 1, 1867. Proof of the direct lineage is required. For further information, prices and an example of how to display the certificate, please refer to the NS Ancestors Certificate page. All GANS operations are carried out by volunteers, including publications, membership renewals, workshops and website maintenance. Your patience is appreciated, when expecting responses to queries. All lectures are open to the public and will be held unless otherwise noted in the lecture room of the GANS offices at 33 Ochterloney Street, Dartmouth, Nova Scotia.